Tiranna International Hotel was the venue for our rudimentary bus stop. Tirana has no central station so if you do visit make sure you check with your hotel or hostel to avoid confusion. The roads between Tirana and Pristina are varied to say the least. Chaotic unfinished roads strewn with impoverished farming villages make way to wide, stunning mountain highways that seem to have been designed to accommodate a volume of traffic that the region is unlikely to ever witness (unless you count the odd herd of cattle blocking the lanes). The words “roadside breakdown recovery” do not seem to translate in Albanian as we found when the coach encountered a tyre blow out. Our driver seemed totally unfazed by the incident and continued to travel at least 8km along the highway before pulling over for a “quick” tyre change (after this wait I will never complain about the response of Kwik Fit ever again). Despite the pit stop we made it Pristina by early evening. The city itself has even less sights than Tirana and once you have seen the Bill Clinton statue, walked down Mother Teresa street and visited the various mosques and churches you’ve seen all the city can offer. They do have Tony Blair Street but we never found it. I’m guessing it’s some small back alley rather than a grand promenade. 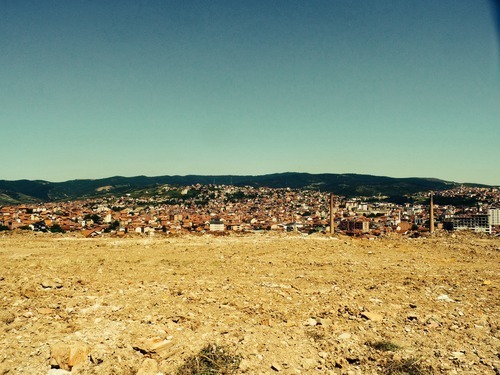 The main attraction of Pristina is in its populous. The lives of locals, foreign workers and interns meant that despite not staying in a hostel we were always indulged with an interesting story. The “Backgarden Bar” was a regular stop for us and we received no end of useful advice and contacts for our future travels. The contrast between the Albanian and Serbian across the country meant there were also differences in cuisines and we were fortunate to sample both. Either option offers a great selection of perfectly cooked meats (obviously no pork with Albanian cuisine) and locally sourced vegetables. If passing through the region ask for a platter of various local specialities that way you can cover all. It is also customary to finish your meal with a shot of Rakia. It supposedly helps break down the meal (still think your talking a load of crap with that Guesty). We had a day trip to Mitrovice and the Kompleski Memorial for Adem Jashari both of which shed some light on the war years and the tensions that still remain today. The Adem Jashari memorial was a poignant visit. The man revered as “the hero of Kosovo” was one of the founders of the Kosovo Liberation Army (KLA) and instigated various attacks on the Serbian police in the late 1990’s. In 1998 the Serbs conducted a revenge mission and with the use of tanks, APC’s and helicopters exterminated Adem Jashari along with fifty-eight members of his family and other members of the KLA. This included eighteen women and ten children under the age of sixteen. His home now stands as a memorial and a reminder to all Kosovo Albanians of his sacrifice. The ethnically diverse city of Mitrovice is located in the north of the country and sits along the banks of the Ibar river. Around 70% of its population are Kosovo Albanian Muslim on the southern bank and the remaining Serbians occupy the northern bank after being displaced after the war. The city has witnessed various act of violence, riots and protest from both sides. The troubles during and after the war has meant that up until a few weeks ago a barricade was established by KFOR forces across the Ibar bridge to help prevent further violence. Surprisingly the dismantling of the barricade was not accepted by either side and in response of further riots and protest a “Peace Garden” has now been installed. This measure is kind of counter intuitive as the four rows of trees now form a new barricade preventing vehicle access to either side. Both visits were extremely useful for getting a small taste of the hatred that still exists between the countries various enclaves, however at no stage in our visit were we made to feel threatened. 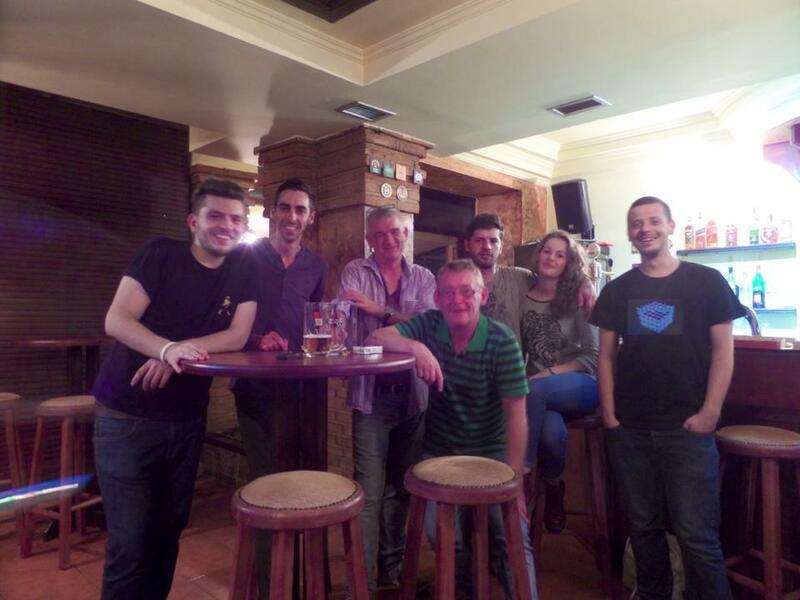 All the people we met in Kosovo treated us with more courtesy and kindness than we ever hoped when planning this trip. A growing theme across the whole Balkan region.